It seems as though we turn into early birds to enjoy those spectacular summer sunrises over Lake Tahoe, or night owls as we stay up late to enjoy every last drop of daylight in the summer months. Well, if you’re looking for a rare opportunity to experience Lake Tahoe at night, how about on the water under a full moon? Don’t miss these enchanting evenings with Tahoe Adventure Company! 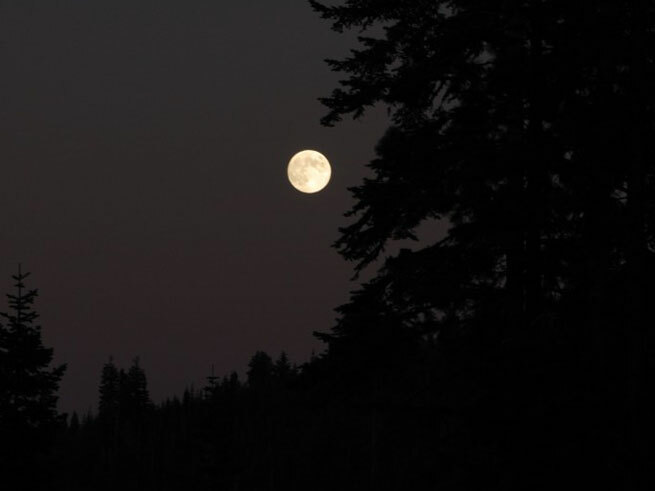 There are still three more full moon dates for summer, so be sure to reserve your spot soon! 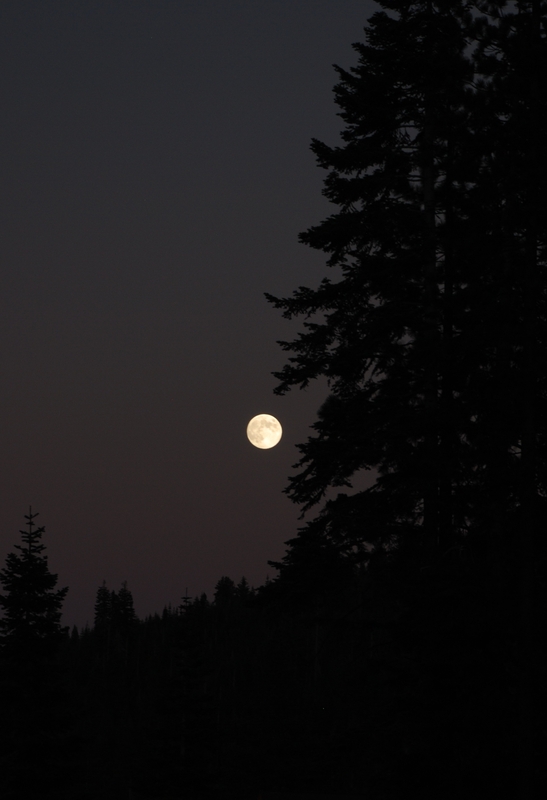 Not only will you soak in the beauty of the Sierras as the sun sets and the full moon rises, but after paddling for two hours you will land on the beach to cap it all off with hot drinks, snacks, and more stargazing. Cost: $60 per person, 4 person minimum. $50 per person for hiking. Wondering what you need to pack? Tahoe Adventure Company provides the following: all kayaking equipment, knowledgeable guides, instruction, natural history and astronomy discussions, kayak games, refreshments. Personal warm clothing is required. Please discuss with Tahoe Adventure Company when you make your reservation. 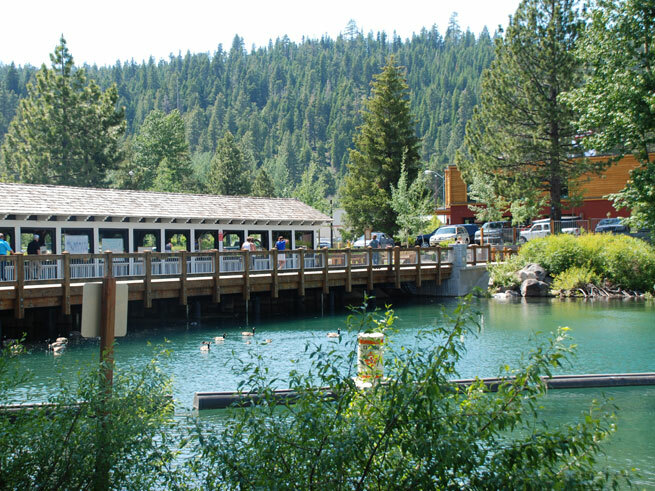 Tahoe City Waterfront Walking Tour: Free Event! It’s hard to believe but Tahoe City is celebrating 150 years this summer as an established town in Northern California! As a part of the town’s anniversary, The Tahoe City Waterfront Tour was formed by the North Lake Tahoe Historical Society to share Tahoe City’s unique history. So what exactly will this tour consist of? Event guests will travel on foot for about 3/4 mile on a flat bike/multi-use trail to learn all about the Truckee River Dam (above photo), water rights, water clarity, rafting, historic sailing vessels, motor boat racing, Commons Beach, native fish, and key landmarks in Tahoe City—restaurants, places to visit/things to do from long time local, Karen Willcuts. Although this event is FREE and open to the public, the North lake Tahoe Historical Society will accept $5 donations that will also cover your admission to the Gatekeeper’s Museum for the day. Other Details: You may park in public parking lots or at the Gatekeeper’s Museum. Leashed well behaved dogs are welcome. This tour is family-friendly, but probably not exciting for very young children. Questions? Contact the Gatekeeper’s Museum at 530-583-1762. Squaw Valley Lodge Summer Offer! Trading ski boots for flip flips: there’s so much to do in the summertime! Are you trying to find your summer slowdown? Take a few deep breaths, and think about all the things you want to do while on the perfect summer getaway. With enough activities, events, and festivals to fill each day at Lake Tahoe you may find it hard to relax, but we think you will fit it in somewhere. Come up and enjoy Squaw Valley Lodge’s Third Night Free! *If Third Night Free does not work for your vacation, ask your Vacation Planner about other promotional offers at Squaw Valley Lodge. The Third Night Free promotion is valid through September 30, 2013 and is subject to change, blackout dates and availability. The free night will never be a weekend or holiday night. For stays greater than three nights, other discounts or promotions may be available. Free nights are only valid for the reservation in which qualifying nights were purchased. $123 per night Deluxe Studio rate is based on three midweek non-holiday nights. On Saturday, Timothy Olsen, crossed the finish line of the Western States 100-Mile Endurance Run in 15 hours, 17 minutes and 27 seconds in 102 degree heat. The 40th year of this race began at the crack of dawn on Saturday, June 29, at Squaw Valley and ended at Placer High School in Auburn, CA the following day. This renowned trail foot race draws elite endurance athletes from all of the world. Our local blog contributor, Colleen Conners-Pace of Tahoe Peak Endurance (who has dolled out great tips for Ironman Lake Tahoe!) competed years ago, so we sat down with her to find out what it was like to run this incredibly popular and difficult ultra. What year did you compete in WS100, what was your time, and what did you place? I competed in 1980 with a time of 23:10. I placed as the 3rd woman, and at 23 years old I was the youngest. I think 250 entered, 125 finished, 66 under 24 hours, and I was 33rd overall. I began running in 1976 and ran my first marathon in ’78. My first ultra was 1979 around the lake in September, then I raced the WS 100. I crewed for Cowman and others for several years prior to my run, as well as after. Crewing is what turned me onto trail and ultra distance running and the desire to run the WS 100. What was the most enjoyable part about the race? Being out there in the woods and the mountains, with nothing but the simplicity of shoes on your feet. Having to go from one point to another over a rugged trail. There is no way I would do an ultra that travels in loops, and/or on pavement. Challenging the body, spirit, and mind. All the support from family and friends, all the volunteers, and race officials. Knowing that I was able to accomplish this feat, was racing well and had the potential to place. What was the most difficult part of the race for you? When my partner, Carl Toeppner, whom I trained with–actually my coach and mentor, the biggest influence on why I was able to complete the event–had to drop out and I had to continue on my own until I picked up our pacers later. I had to run the canyons alone, and when we had trained he was always there. Of course, there were other runners were out there, but I still felt a bit apprehensive. What is your advice to those interested in training for and racing WS100? Train less than more and be aware of too much volume. Listen to your body. Enjoy the journey to the event. Have no expectations the first time other than to enjoy the day and finish healthy. Don’t wear a watch, don’t get hung up on numbers and time and … too much stress. Allow someone else monitor your progress. How is the WS100 different from other ultras? What sets it apart as an endurance race? It’s the grand daddy of them all. It was my first, and I was one of the pioneers. I entered before there was a lottery. It started in my backyard, it was a “must-do”! Colleen Conners-Pace MA of Tahoe Peak Endurance, LLC is an Exercise Physiologist, USAT Triathlon Level 1 Coach, Cycle Ops Power Coach and ACSM Health Fitness Specialist. Tahoe Peak Endurance, LLC offers Sports Performance Testing, Coaching, Training and Event Promotion. Colleen is Co-Race Director with her husband Joe Pace for the Auburn Triathlon. Auburn Triathlon is known for the World’s Toughest Half, a great training race Lake Tahoe Ironman triathletes. This race is May 19, 2013. Tahoe Peak Endurance, LLC has also partnered with High Sierra Tri Club from Mammoth and are hosting “A High Altitude Triathlon Camp at Tahoe” Aug. 9-11, a camp designed to help you get familiar with the Lake Tahoe Ironman and practice race day strategy. For more info, visit www.tahoepeakendurance.com. Find your true north at the most exhilarating festival in California. Hosted in Squaw Valley, Wanderlust is a free-spirited fusion of music, art, food, wine, wellness and breathtaking natural beauty that rejuvenate your spirit. Enjoy sipping in the sun and dancing under the stars at Wanderlust 2013, featuring incredible musical acts and DJs, winemakers, chefs and the world’s top yoga and wellness teachers in the breathtaking beauty of Squaw Valley. What will you experience at Wanderlust? After you awaken to crisp mountain air and morning sunshine, grab your daypack, take a mountain mediation hike and cruise over to The Village at Squaw Valley for the festival. Fill your days with live concerts and music by amazing performers and groove-spinning DJs like Moby, Alia, Shimmy Sisters, Quixotic, and DJ HY-FI. Browse the village for arts and crafts, feed your soul on local and organic food, hear a fascinating lecture on health and balance and enjoy a sky-lit yoga class under majestic mountain peaks. Soak up the summer shine, sip cocktails at enjoy live DJs at the afternoon pool party. Wanderlust is an ecstatic celebration that moves your soul. Wanderlust 2013 will also feature a farm-to-table dinner, an outdoor food co-op, dance performances and workshops, yoga and meditation activities, mountain hikes, outdoor expeditions, including paddleboard yoga on Lake Tahoe, speakers, films, food and wine tastings and all-night dance parties. As the sun sets over Squaw Valley, head to Winederlust and sample biodynamic and organic wines from local vineyards at Rue Boheme. Take your thirst up the mountain to the Farm to Table Dinner, browse eclectic art installations, and get your body moving at the Wanderlust main stage for a DJ set by Moby. When you crave more music, Wanderlust’s late-night DJ dance parties go until 2 am. For tickets, go to: http://squaw.wanderlustfestival.com/. Photo Credit Squaw Valley USA.